My campaign is built upon the conviction that my work in government should represent the voice of the people. In a representational form of government, it is imperative that the government and the people be united. Your national, state, and local representatives should represent you, the voters, and support your needs. Clean air, safe and adequate roads, fresh water, affordable education, and a transparent and accountable government benefit all voters and provide a foundation that individuals can build lives of happiness and success upon. When elected to serve as your voice in the Utah State House of Representatives, it will be my responsibility to ensure I make those decisions you and everyone else in Draper expect me to make. For Utah to succeed, we need to be friendly towards local businesses and encourage new businesses to move into Draper and Utah. This will provide local jobs, a larger tax base, and enrich our community. In order to create and maintain an attractive environment, and encourage businesses and people to come to Utah, we need to protect those unique treasures that make Utah great. We must preserve our mountains, hiking trails, and state and national parks. We need to keep our lakes, ponds, rivers, and air clean. By protecting our land, we ensure the all Utahns can enjoy recreational activities such as paragliding, hiking, skiing, fishing, and biking for many generations to come. We must do more to protect our state and local gems, as well as the quality of our air and water, by limiting mining operations to reasonable levels. Draper is nestled in between the mountains and our unique location offers us a multitude of outdoor activities. The Point of the Mountain, for example, provides one of the best flying locations in the country for hang gliding and paragliding, and is a key part of our community. We must preserve this valuable location. Draper needs to elect a state representative who will fight to keep The Point of the Mountain under the control of local cities and their zoning laws, and out of the hands of lobbyists and corporate interests. 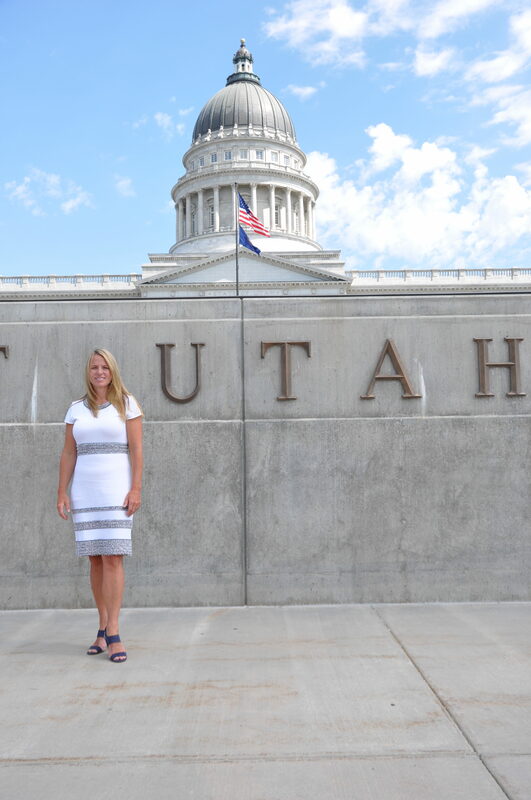 Additionally, Draper needs a strong voice at the capital to remind the Point of the Mountain Commission to include open space in the redevelopment of the approximately 700 acres currently occupied by the Utah State Prison. During my time on the Draper City Council, I have been a strong voice for the people. This experience has taught me much about the issues that concern Utah families. I believe all politics are local. Even when laws are enacted at the national or state level, they affect us locally. That’s why I believe Draper needs a state representative who will protect our values and voice our concerns. This can only be successful with transparent and open communication and I promise to listen to your concerns and ideas and ensure they are voiced at the state level. I will bring your creative ideas to the state to solve the challenge we face. I would appreciate your vote to help make the changes we need in our community. I truly believe great government starts with elected officials who are committed to representing the people. Like any parent, I want my children to receive the best possible education to prepare them for the ever-increasing demands of today’s workplace. Unfortunately, the problems of overcrowded classrooms, teacher salaries, and a shortage of teachers in Utah threaten my scholastic dreams for our future generations. I have been endorsed by the Canyons Education Association and the UEA in my campaign for Draper House District 51. As a state representative, I promise to continue to do all I can to address the issues that face our public schools and the children they serve. Clean air is essential to the quality of life in Draper and throughout Utah. As a member of the Draper City Council, I have worked to improve the quality of our air by voting for ordinances and zoning to reduce dust and pollution as much as possible. As the mother of a child with asthma, I know how important it is for Utah residents to breathe clean air, so I am concerned about the amount of dust that comes off of South Mountain during windy days. When elected, I promise to work at the state level on new laws to control dust for residents who live near mines and rock quarries and to reduce the pollution we experience during weather inversions. I believe open and transparent elections are key to a successful and functioning democracy. Transparent elections allow voters to trust the outcomes of our election system. A crucial component of fair and transparent elections is campaign finance. Supporting public financing so more citizens can compete for public office. Ensuring the enforcement of campaign finance laws and increase penalties for those who break them. Editor’s Note: We erroneously published that Michele Weeks had been endorsed by the Canyons School District when, in fact, it is the Canyon Education Association that has endorsed Michele Weeks. We apologize to the Canyons School District for any confusion our error may have caused. Join our team and help Michele Weeks win this election! Working the booth at Draper Days. This is a fun, rewarding, and exciting opportunity for you to become a part of our political process!